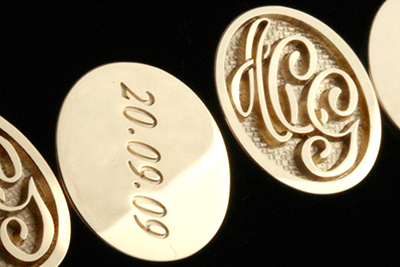 Our Craftsman deep engrave ANY design onto your choice of either Post Back Cufflinks (also refered to as ‘swivel’) or Chain Linked Cufflinks. 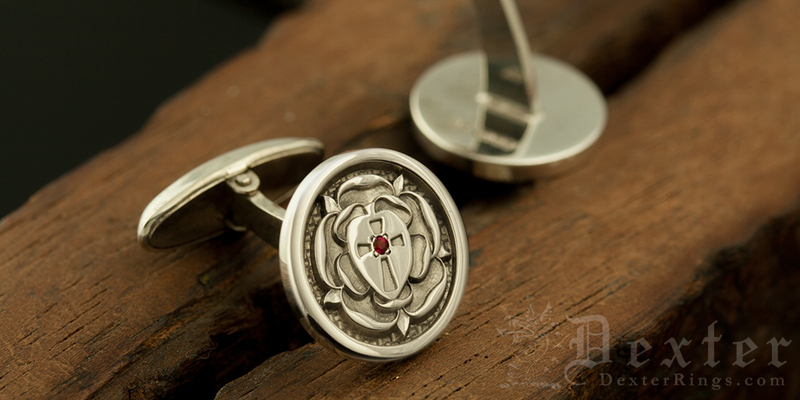 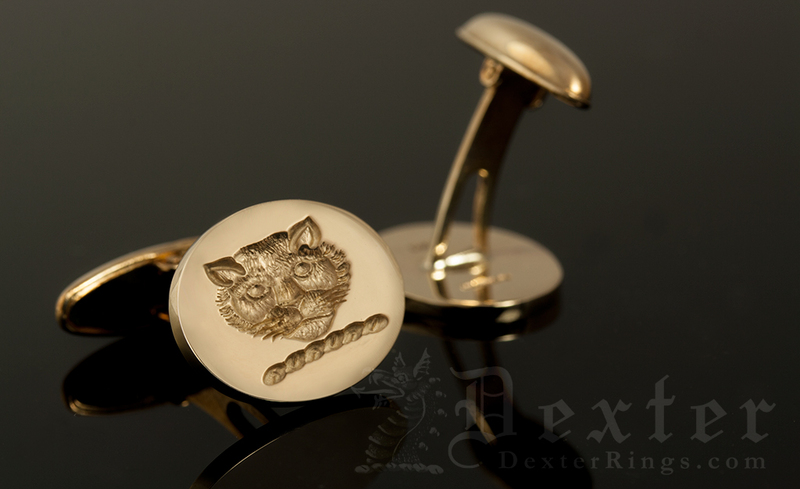 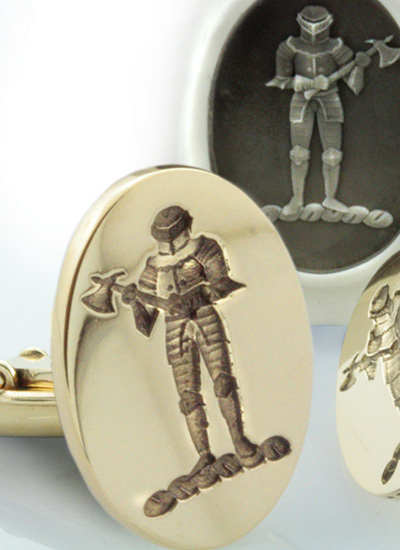 Our Heirloom quality cufflinks are made from thick die stamped plates for the finest engraving, and the very highest quality findings to match. 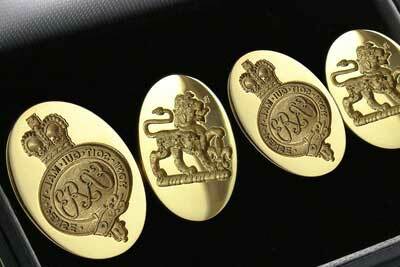 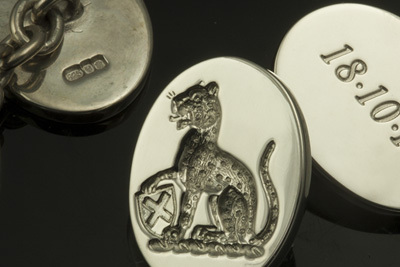 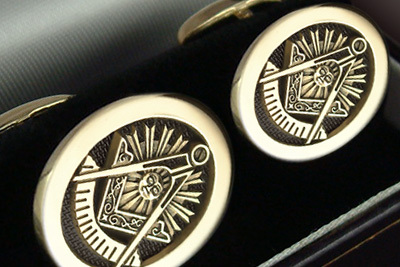 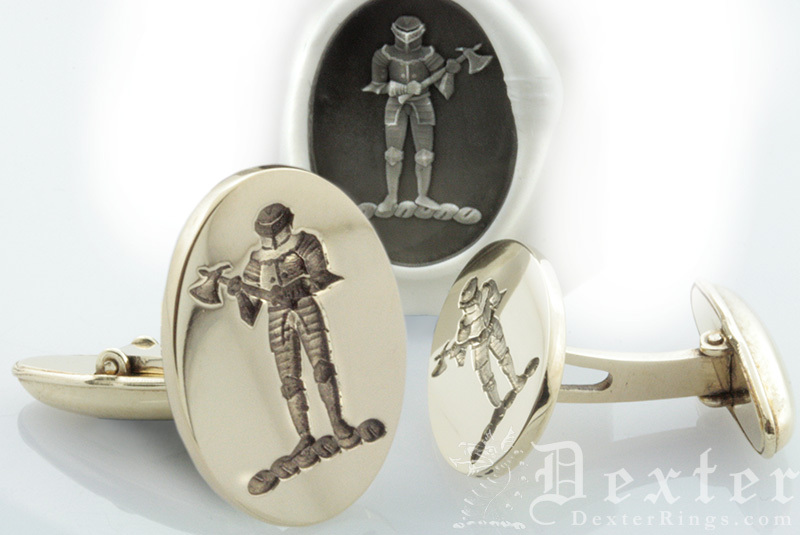 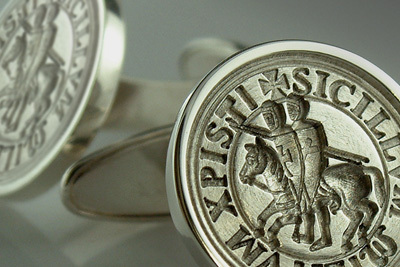 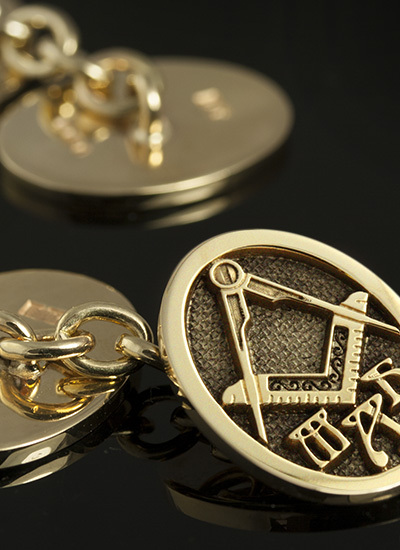 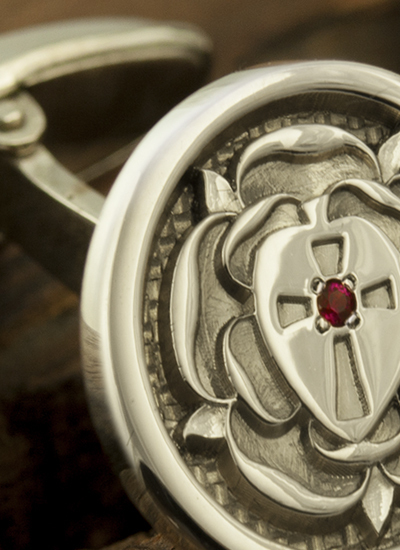 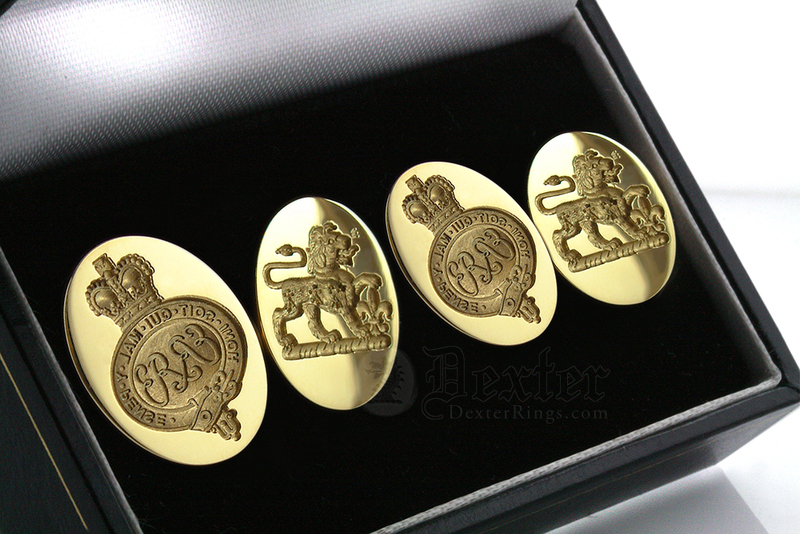 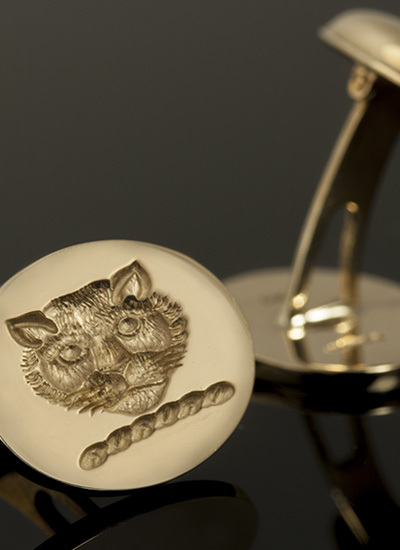 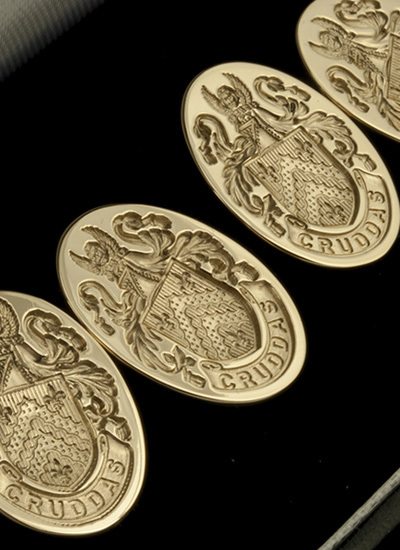 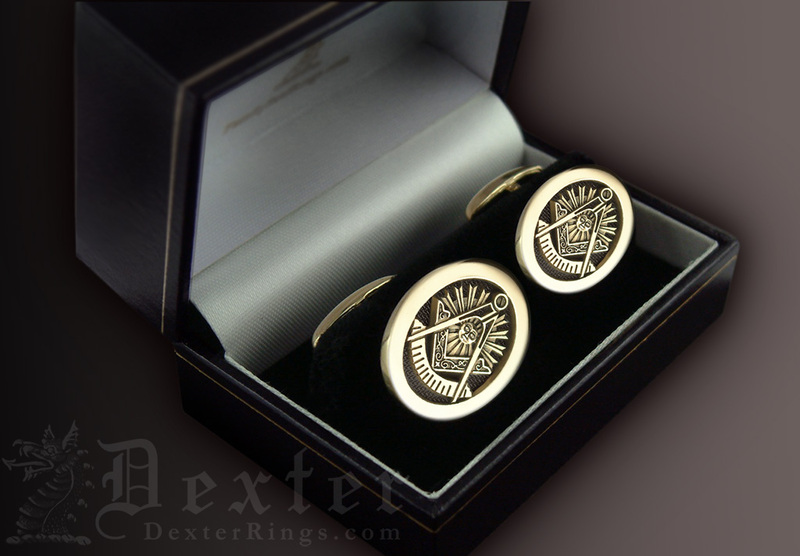 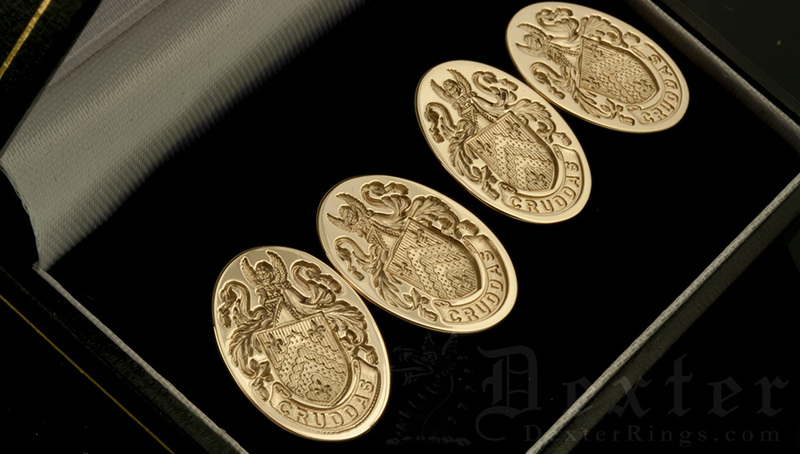 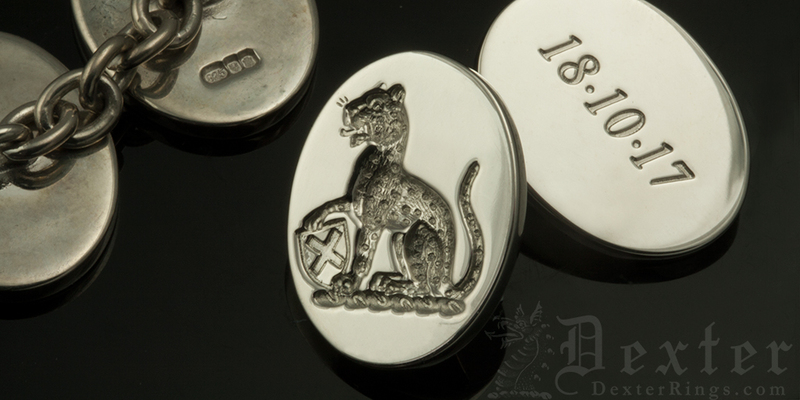 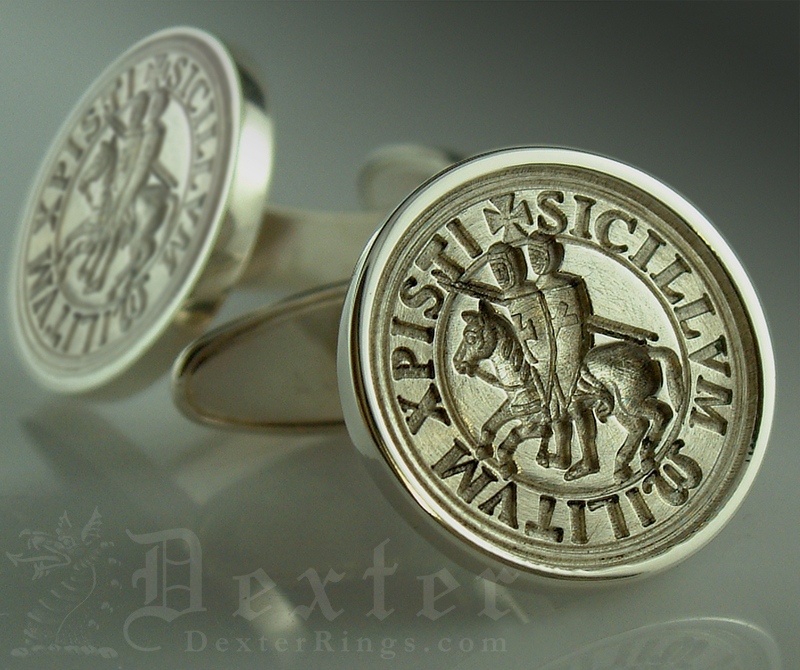 Simple online ordering is available for our Post Back Cufflinks for these categories of engraving only: Crest | Family Arms Range | Clan | Monogram | Masonic | School or Club. 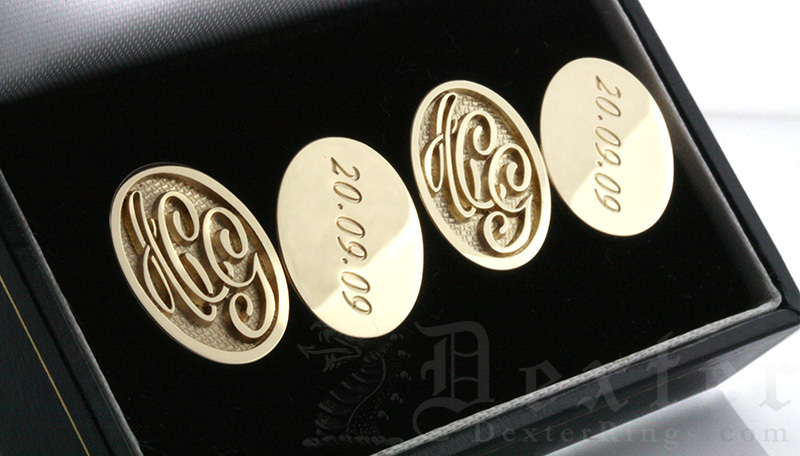 For a custom design that doesn’t fall into one of these categories we will need a little more information to provide you a quote. 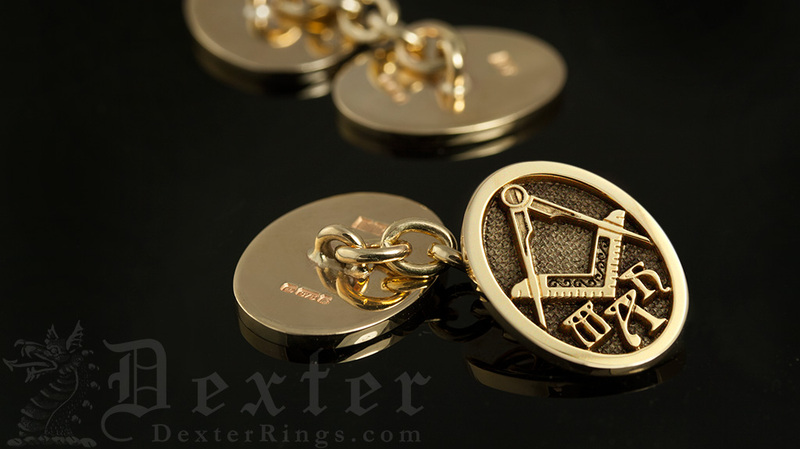 Quotation also available for our Chain Linked Cufflinks.